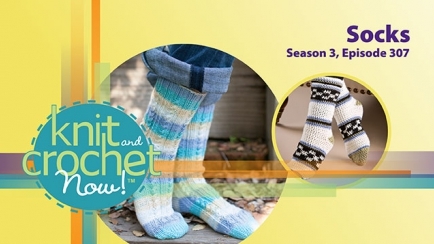 Get the supplies you need to knit the Faux Cable Socks, featured in episode 307 of Knit and Crochet Now! 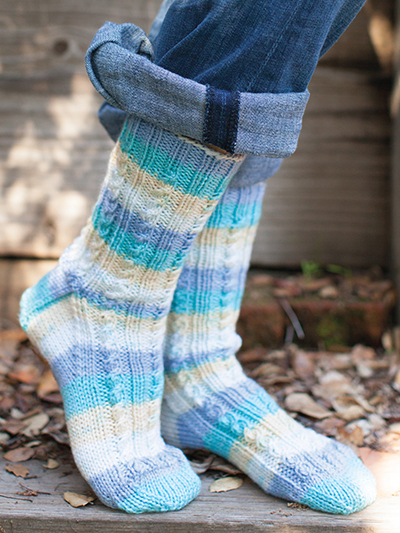 This knitting project is designed by Lisa Carnahan and can be made using yarn from the Universal Yarn Uptown DK collection and size 5 double-pointed knitting needles. Browse this selection of supplies from Annie's to find the products you need to make the Faux Cable Socks.